I am often challenged to cut big wooden panels to a specific format. 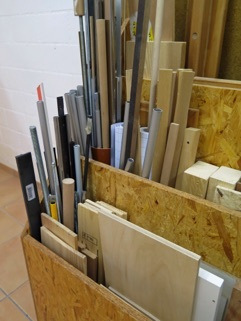 Without a professional table saw this can be a complex and time-consuming exercise. 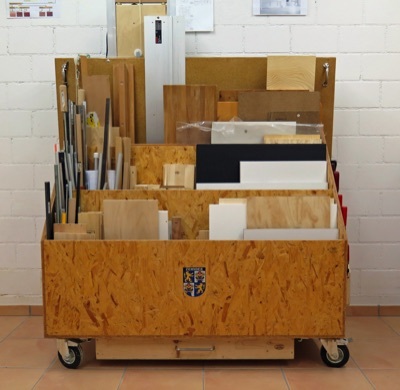 The goal was to have a simple and mobile solution which requires a minimum of space. Similar to other projects I applied the Swiss knife principle. 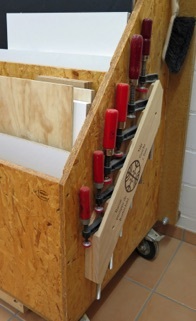 That means that I combined the storage for material with the vertical panel saw. 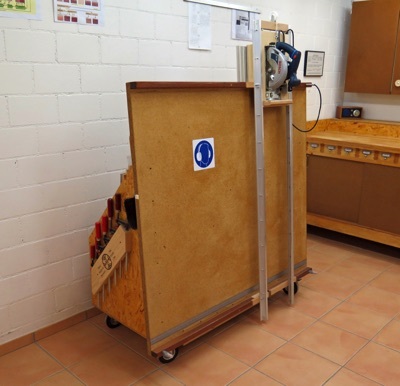 This combination does not only save space but provides also the required stability and mobility to the vertical panel saw. For the sake of simplicity the disk saw does only allow vertical cuts with an angle of 90 degrees. The construction is simple and space efficient. 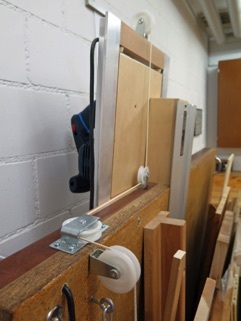 I used a normal circular saw and fixed it on a movable sliding table which is connected to a counterweight. 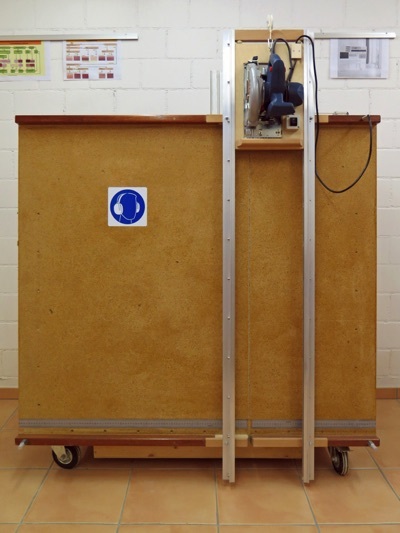 The counterweight makes sure that the saw does not fall down and keeps the position. 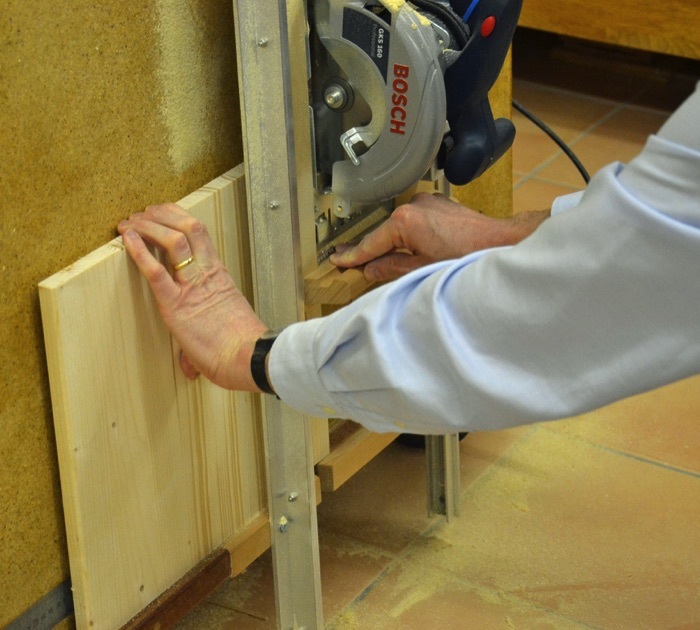 A fixed installed measuring stick allows a very precise cut of the panels. 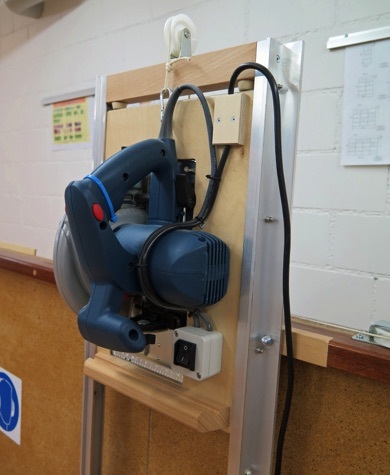 Experience has shown that the vertical saw delivers very precise results with an exact angle of 90 degrees. 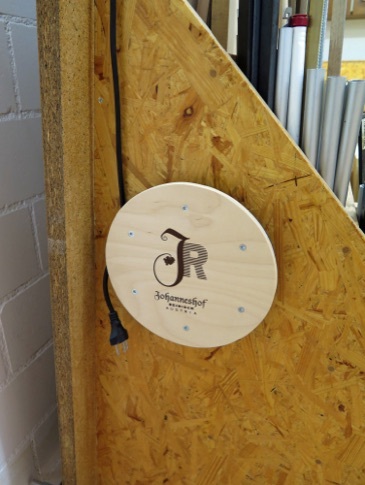 The electric cable is mounted in a way that a contact with the saw blade is impossible in any position. 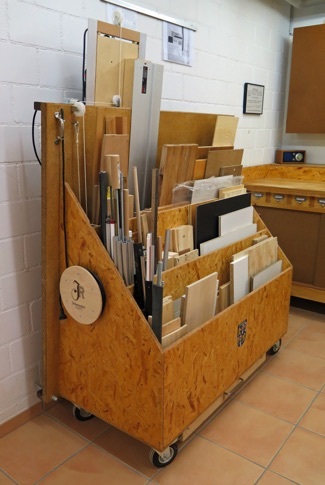 The vertical table allows cutting panels with a dimension of 122 cm. This allows me to cut most panels commercially available. 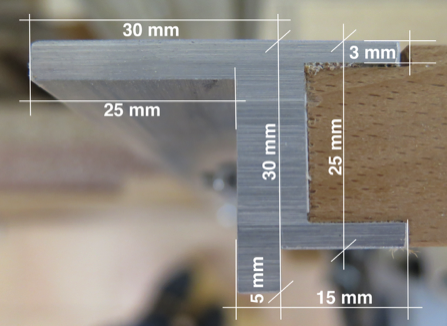 The overall width of the construction is about 3 cm smaller than the width of a standard door. 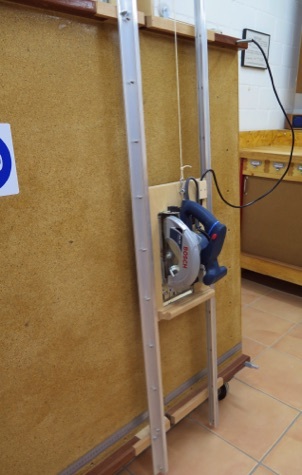 This allows me to use the vertical panel saw outside of my workshop.